The Zanzibar Chest | Hujambo! I borrowed this book from another volunteer and sped through it during my travels through Tanzania, Rwanda, and Uganda a few weeks ago. I’ve seen tons of books in this genre since I’ve been in Kenya. If you have been to a bookstore recently you know the type: it’s kinda like a “new age” travel writing, but instead of martinis and beach resorts you get rebel militias, cow dung, and grass huts. Last year I read Paul Theroux’s Dark Star Safari , where he spent a few months traveling by land from Egypt to South Africa (and every country in between). During Kenya’s post-election violence earlier this year I read Emma’s War , about a VSO volunteer in Sudan who married a rebel warlord and lived in the bush with him and his militia. Sara read one about a white European woman who ended up marrying a Maasai warrior and living in the bush with him ( The White Maasai ). There’s no shortage of this stuff, and I bet they are selling like hot cakes in Western book shops! 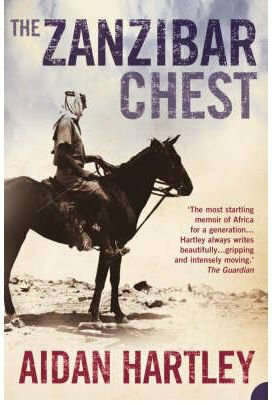 Having said that, if you’re looking for a foray into this genre, I will recommend Aidan Hartley’s The Zanzibar Chest . It’s a great mix of politics, history, and travel (in a weird sort of way). 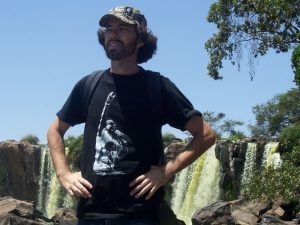 The author is a white Kenyan, the son of a long line of colonial British officers, who writes about his experiences tramping around Africa as a war correspondent for various news wire agencies. He’s a great writer and he has a decent sense of humor. Not the “Knock knock, who’s there?” type, but more like the way he perceives things and his matter-of-fact presentation of some pretty far-out situations. For example, he was walking through a remote village in Somalia and he sees an old man strolling into the market with a swarm of bees following him. His guide tells him that the old man had hid the queen bee in his turban so the entire colony was following him—a great trick to get your bees to the market for sale! Most of the book takes place in Africa (war-torn Somalia, famine-stricken Ethiopia, the blood bath of Rwanda’s genocide, post-independence socialist Tanzania, etc), but he spends some time developing the story of his father’s career in service of the crown. I get the feeling that his father was unlike the stereotypical colonialist. From the stories, he was a man who effortlessly integrated with the local people and strove to understand their traditions, speak their languages, and help them solve their problems. Apparently, during an assignment on the Arabian peninsula, his father realized his true love was Africa, its people, and its wonders. Aidan, too, came to love Africa. I could identify with Aidan who, although his white skin essentially gave him a leg up on life, seemed only to want to shun his privilege and be one of the locals. I think I know the feeling, because I was more excited when I met some “fellow” Kenyans recently in Rwanda than when I bumped into some American chicks. I felt proud to speak some Swahili, Kamba, and have some laughs about good times in Kenya. Hopefully I didn’t give too much of the book away. If you’re not going to read it I guess it’s not a problem, but if you do read it let me know what you think! I just got it in the mail yesterday! Now let’s see how long that deordorant takes!